As we reflect on the past year, we are filled with gratitude for everything we were able to accomplish because of our supporters. Over 2,000 at-risk girls were kept safe and in school through our scholarship programs. We launched our Menstrual Health Management program, through which we will break the taboo surrounding menstruation and teach the Little Sisters that menstruating is a normal and healthy part of life. We raised over $100,000 to officially launch the new Higher Education and Health Care Opportunity Fund. The Little Sisters completed 16 community development projects, ranging from community libraries, to drinking water facilities, to dedicated girls’ bathrooms at schools. We are excited to maintain this momentum as we move into 2018 and Little Sisters Fund’s 20th Anniversary year. For 20 years we have provided scholarships and support programs to over 2,600 at risk girls in Nepal. And we don’t plan to stop fighting for female empowerment and education opportunities in Nepal anytime soon. It is because of you, our supporters, that we have been able to accomplish so much, and it is because of you that we will be able to do so much more moving into the future. Whether you have been with us since day one, or you gave your first gift this year, we are forever grateful. While in Nepal in November, LSF’s U.S.-based Executive Director, Trevor Patzer, was interviewed on Nepal TV Plus. 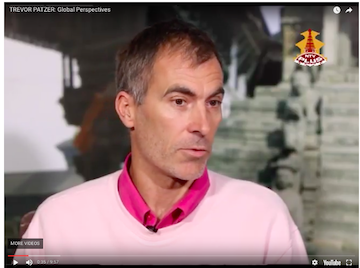 In this must-see 10 minute interview, Trevor talks about the history of LSF, the impact of our programs, and the importance of female education in Nepal. Watch it here! Our series, Little Sister Spotlight, tells the story of a new Little Sister who is in need of sponsorship. While we can only highlight four girls a year, there are many more girls just like Kriti who are awaiting sponsorship. For more information on how to sponsor a Little Sister, email Trevor at trevor@littlesistersfund.org. Meet Kriti. Kriti is a very sweet and lovely girl. She is in the 1st grade, enjoys going to school, doing her homework, and playing hide and seek. Guava, bananas, and vegetables are some of her favorite foods and she loves the color pink, especially pink dresses. Both of Kriti’s parents work—her father as a day laborer and her mother works in a tea shop—yet they barely make enough together to pay the bills. Tuition for both Kriti and her older brother is beyond reach. 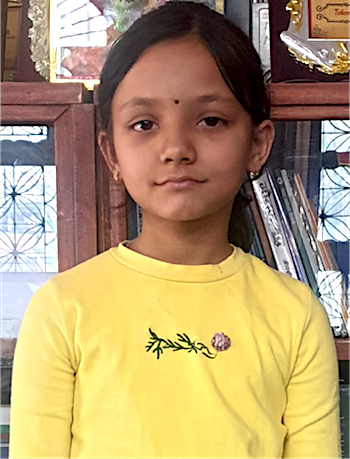 As is typical in Nepal, the priority of Kriti’s education came behind that of her brother’s, and without a scholarship from LSF, she would have been taken out of school. Kriti wants to be a teacher when she grows up, and thanks to LSF’s scholarship program, she now has the chance to make that dream a reality. If you or someone you know wants to sponsor Kriti, or another girl like her, please let us know. You will start getting monthly letters from Kriti—most likely decorated with at least a little pink! Thanks to many of you, we reached our fundraising goal for LSF’s new Higher Education and Health Care Opportunity Fund and we are all systems go for the program’s official launch in 2018. This new program offers small loans to graduated Little Sisters to help finance tertiary education, medical school, and nursing school. 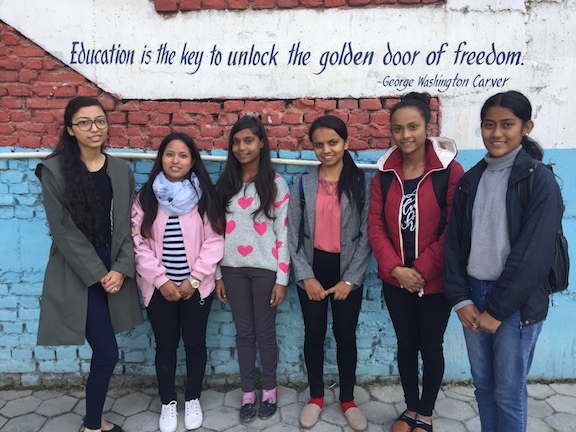 While graduation from high school already puts the Little Sisters ahead of the majority of girls in Nepal, graduating with a higher education degree will set them up for a previously unattainable future. In 2017, 25 girls took advantage of the opportunity during our pilot program. In 2018, we expect at least 35 additional Little Sisters will choose to participate. That means, in 2018, at least 60 Little Sisters will be in college or studying to become a nurse or doctor, all because of you. Thank you! Read more about our Higher Education and Health Care Opportunity Fund here! Support LSF by selecting us as your beneficiary organization when shopping at Amazon Smile. It is exactly the same as shopping at Amazon but one-half of 1% of your purchase price will be donated to LSF. If you spend $100, Amazon Foundation will give LSF $.50. It adds up, it’s free money, and every dollar goes so far in Nepal.